Home >Teams Item > Al Mohajerian, Esq. 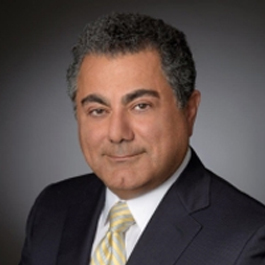 Al Mohajerian is the founder and managing attorney of the Century City office of Mohajerian Law Corporation. Mr. Mohajerian is of counsel to the Barth Calderon LLP. Mr. Mohajerian represents manufacturers, distributors, franchisors, healthcare providers, pharmaceutical companies and real estate developers in franchise, licensing, distribution, product liability, labor and employment, litigation and class-action matters. Mohajerian’s firm provides in-depth and extensive preventive and regulatory compliance counseling and advice to clients relating to food and beverages, drugs, medical devices, and tobacco. The firm has extensive experience working and dealing with FDA, USDA, FSIS and CA State Board of Pharmacy. Mr. Mohajerian has practiced law over 20 years and has represented national brands such as IKEA, PureTek, Burger King, Estée Lauder, Dakar, Shapes, Exoto, Smokehouse Pet Products, Food for Life, Parter Medical Products, Fusion RX, United Oil, Coffebene, Wireless PCS, Glutamal BioActive, ModShop, GoGo Sports and host of other brands. He received his Juris Doctor in 1995. He is certified as a specialist in franchise and distribution law by the State Bar of California. He has been selected or nominated as one the top 5% attorneys in So. California by SuperLawyers, a division of Thompson Reuter, every year since 2008. He is regularly invited to speak for the American Bar Association. He is a member of the California Bar Association, American Bar Association, Association of Southern California Defense Counsel, California Restaurant Association, AM Best, Claims And Litigation Management Alliance and International Trademark Association.